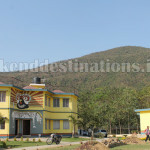 Places to see at Garpanchkot: Garpanchkot features a number of sites having historical values. You can visit the remains of ancient palaces of kings, who used to rule the region. 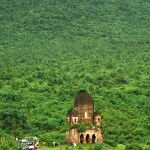 The site also houses the Temple of Pancharatna, the very name from which the name of the place has been derived. 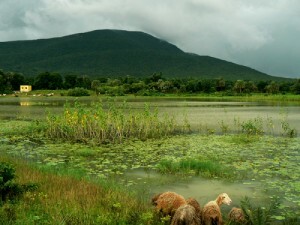 Lake of Murarodi also offers some spectacular views of the surrounding. Nearby attractions from Garpanchkot: The Panchet Dam – one of the largest earthen dams with concrete spillway is a couple of kilometers from the resort. The beautiful 4,232 square mile lake formed due to the dam is a splendid place for a boat ride. Another popular touristic area is the Maithon Dam just 22 kms. from Garpanchkot. This 25 square mile reservoir has also been created by a 4700 m long and 50 m high dam on Barakar River. 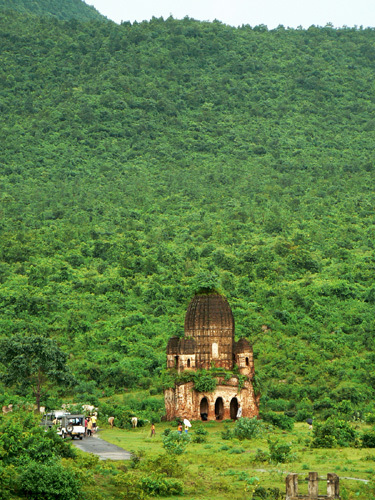 Few other interesting and scenic nearby destinations are the Joychandi Hills, Murardi lake and its surroundings forests and villages, the Birinchinath Temple, Biharinath Temple and the Biharinath Hill overlooking the temple. Things to do at Garpanchakat: If you are not much of an outdoor person, spend your day just sitting in the cottages, savoring the natural scenic beauty of the surrounding. You can also go for bird-watching at the Panchet Dam and Panchet Hill. How to reach Garpanchakot: If you are travelling by train, get down at the stations of Barakor or Asansol and take a trekker to cover an hour long path to reach Garpanchakat. You can also take the car route by driving along the National Highway 2. After crossing Asansol, turn left and take the road leading to Raghunathpur. After reaching the Satbari stop, your destination is few kilometers away by the village path. Best time to visit Garpanchkot: You can visit the place any time of the year. However, rainy season makes it lush green. 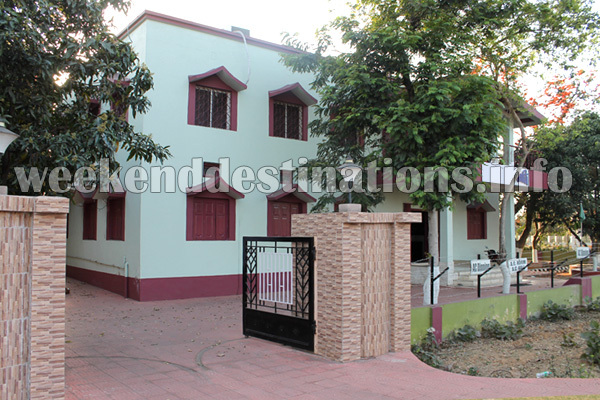 Lodging and dining facilities at Garpanchkot: As of now, there are three private accommodation options in Garpanchakot with us. 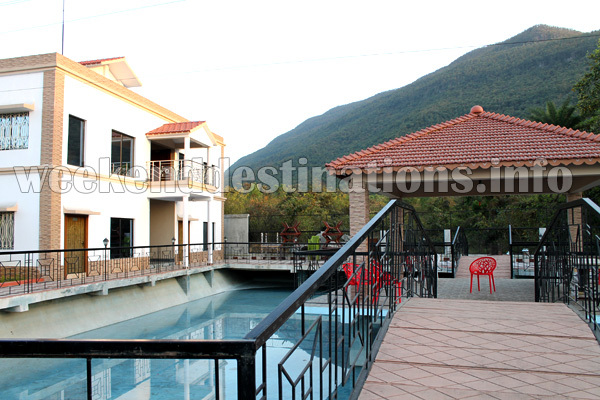 All the resorts are near to the Garhpanchkot Hills and come with modern facilities. 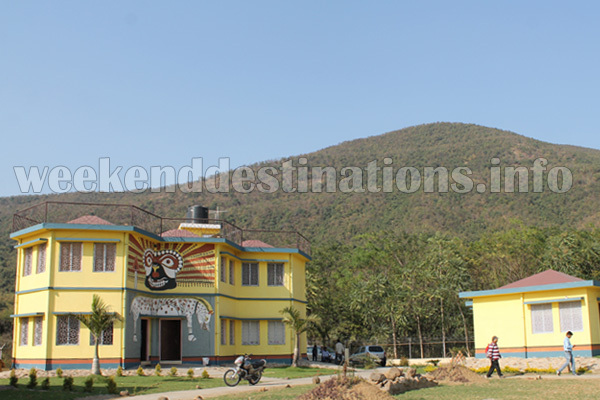 Resort 1: Located at the foothill of the Panchakot Pahar, this resort comes with some luxury facilities like lush green lawns, Children park, Gazebos with views of the surrounding hills, Air Conditioned rooms, dining hall, electric generators and private parking. There are luxury cottages, double bedded as well as four bedded family rooms, deluxe suites and Luxury Tents. All rooms come with attached western bathrooms with hot water geysers, TVs and wardrobes. The dining hall serves delicious Indian as well as Chinese Cuisine. Resort 2: This resort is located just beside the temple at the base of the Panchakot Hills. The major attraction of this resort is its own 40 feet high watch tower, which gives a panoramic view of the hills and its surroundings. 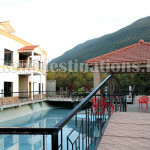 There are 09 Air-Conditioned cottages, a children park and a lush lawn with gazebos within the resort. The resort is equipped wit all major facilities like Electric Generators, Extra Large Comfy beds, TVs, Wardrobes, attached western bathrooms with hot water geysers and a dining hall serving delicious Indian Cuisine. 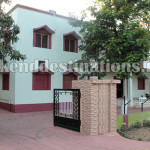 Hotel: Near to the main road and easily accessible, this hotel is reached through a small garden. With a fabulous common terrace overlooking the hills and comfort category Air Conditioned rooms, the hotel offers all modern facilities like Parking, TVs in rooms, Wardrobes, attached western bathrooms with hot water geysers and a dining hall serving delicious Indian Cuisine. The hotel also has Conference Hall for the Corporate guests. Photographs by Somnath Khaskel and others.